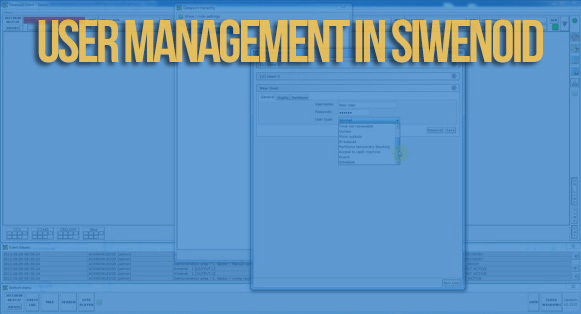 Siwenoid is an integrated security management software that runs on Windows, Linux or Mac OS X. Compatible with several fire/intrusion panels and CCTV DVR/NVRs. Easy to use engineering and user interface. 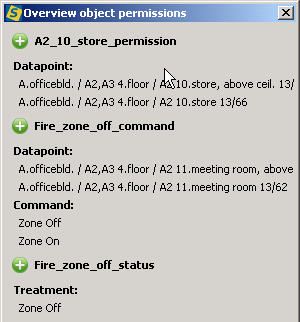 Script enabled to define interactions between subsystems. 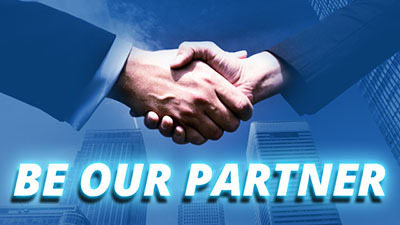 Flexible, reliable, scalable, competitive without any compromise. Built for speed! No “hourglass” of any kind. 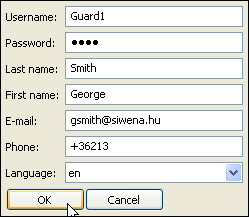 SIWENOID is an OS independent JAVA application. 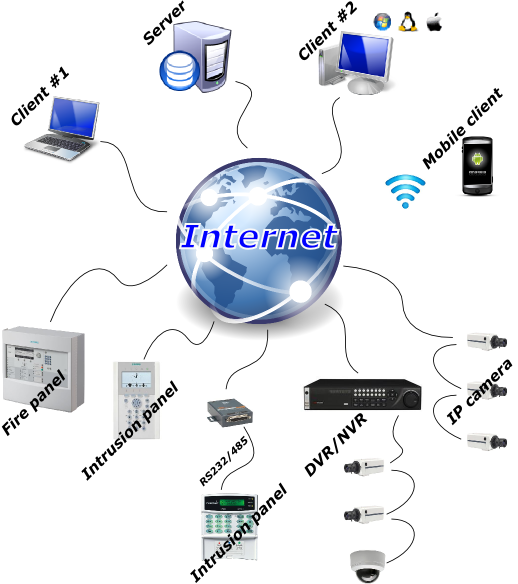 It is flexible, reliable, user- and engineer friendly, scalable, and cost effective solution. Several fire, intrusion panels, and CCTV DVR/NVR’s are integrated. 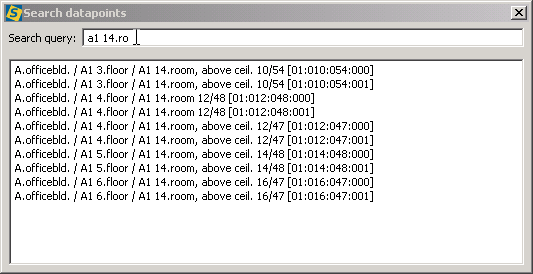 Camera picture pop-ups in case of an event and recording is triggered in the background. 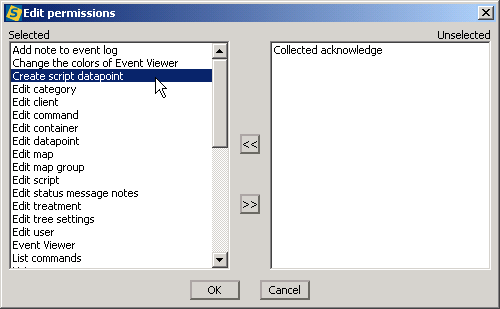 One click playback from event log. 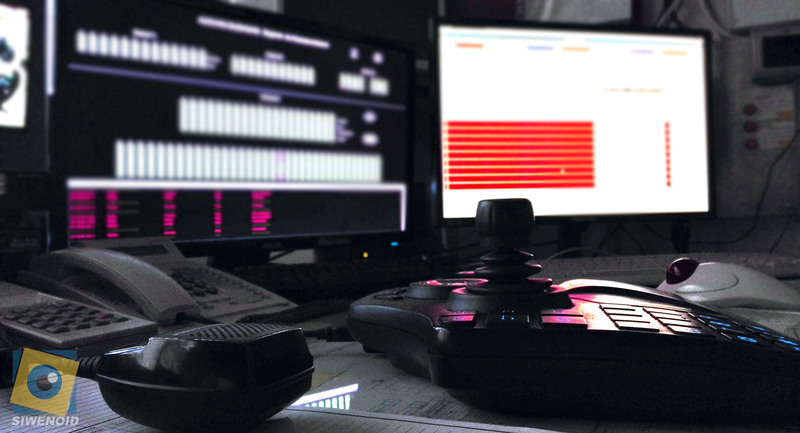 Several special features help engineers in commissioning. 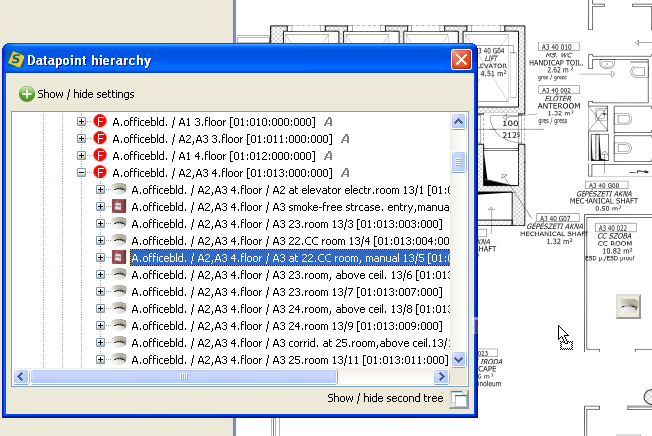 Some features speed up commissioning some make it flexible. 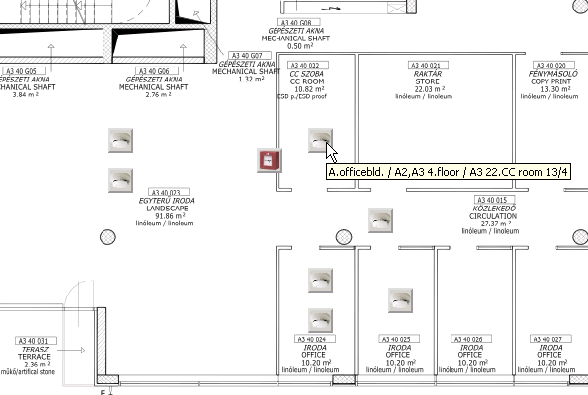 Script language allows you to implement special features on site. Dynamic Licencing – Perfect for all sizes of installations. Pay what you use! 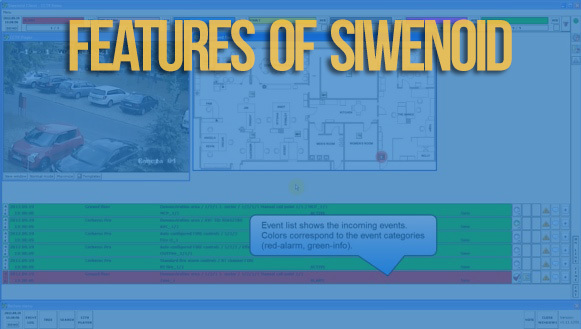 Siwenoid is licenced by the number of datapoints (detectors, CCTV cameras etc.) you intend to connect. You don’t have to buy a “Big software” for 20 smoke detectors or 10 security cameras – but you can get a software for 16.000 detectors too. 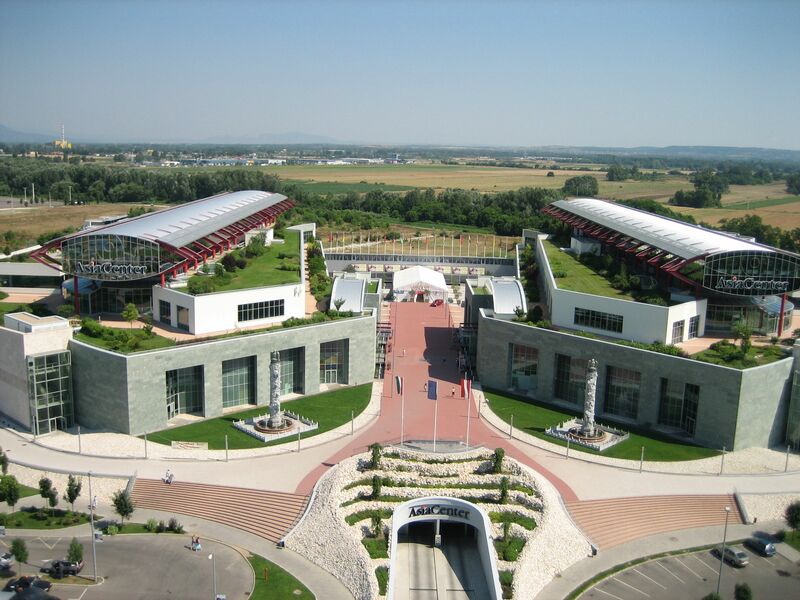 Siwenoid runs in over 120 sites in Hungary, and we have installations through Austria, Romania and in the Czech Republic. 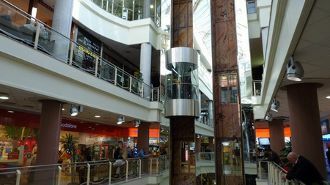 Siwenoid V2 in Asia Center, Budapest A shopping mall and conference center on the permises of Budapest. 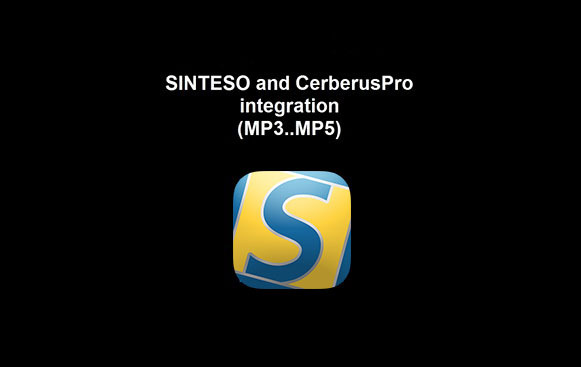 On the site there are several Cerberus Pro MP5 Fire alarm panels communicating with each other in speedlink and BACnet is used to communicate with Siwenoid V2. 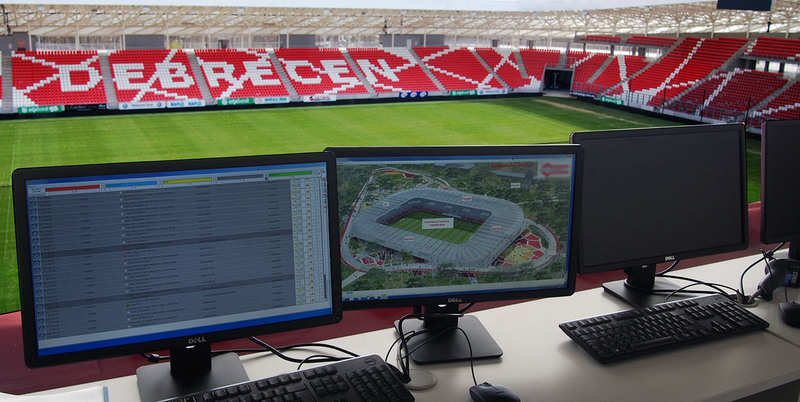 More than 4000 detectors are monitored throught Siwenoid, with instant pr ..
Vanderbilt SPC and LST fire alarm integration at Debrecen Stadium (ENG) ► A cikk magyar verzióját itt olvashatja On a site as big as a 20.000 seat stadium fire protection and access control is a must. Security personnel must be fully aware of every movement and fire hazard in every situation. They must be ready to open and close zones instantly in case of emergency. The ..
Honeywell Galaxy integration to Siwenoid at Auchan Saving manpower and increase security transparency at Auchan The task was to visualize the alarms of the intrusion detection system so the security personnel could overlook the whole system at one glance, for increased transparency and to make their job easier. 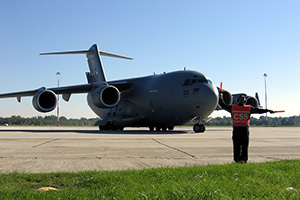 ..
NATO Airport – Fire alarm integration We installed SIWENOID in a Hungarian NATO airport to visualize the fire alarm events of 10 fire alarm panels. 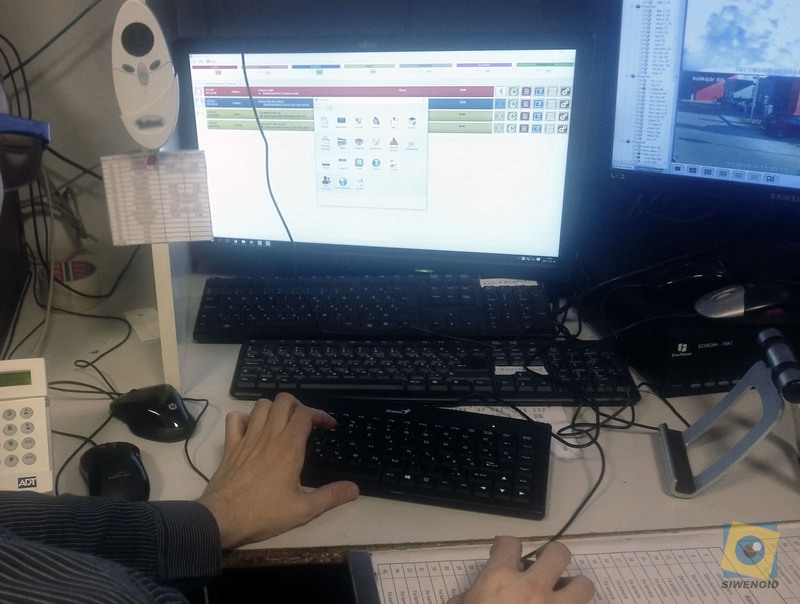 Two different communication protocols are used on the site: It integrates Algorex fire control unit with ISO1745 and SIEMENS Sinteso control unit with BACnet communication. Each control unit .. BUD Ferihegy airport Our biggest installation. 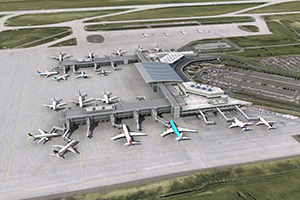 18pcs of SIEMENS fire alarm control units are integrated into our SIWENOID system at Budapest Airport. Until now it is our biggest installation with more than 16000 detectors. 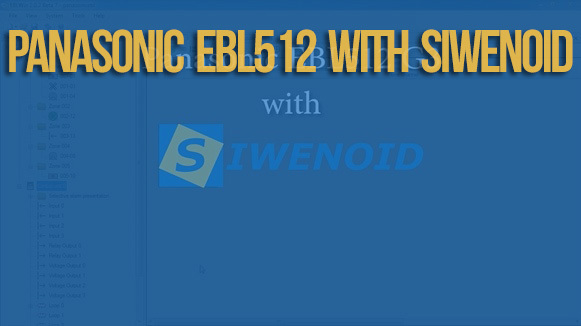 In this setup SIWENOID uses a special IEC-101 protocol interface to connect to a foreign system. F .. Entire documentation is available in MEDIAWIKI format. 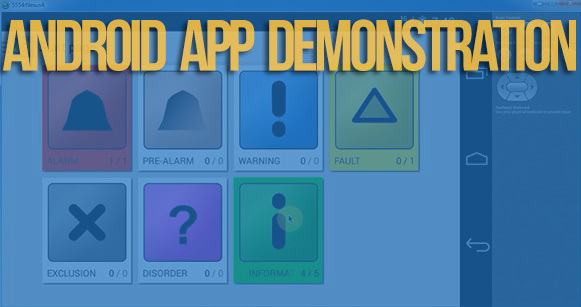 Check the software in action! 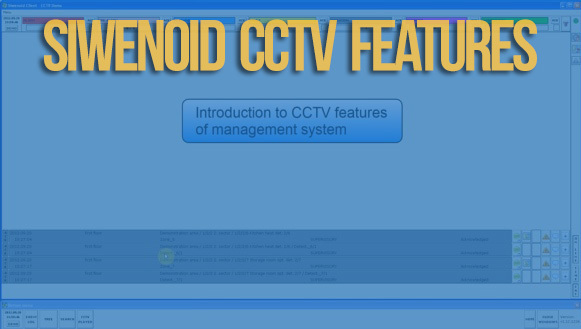 Siwenoid can interface with many CCTV systems. Surviallence cameras can be marked on maps, can be assigned to datapoints so when an alert comes you’ll get the picture! 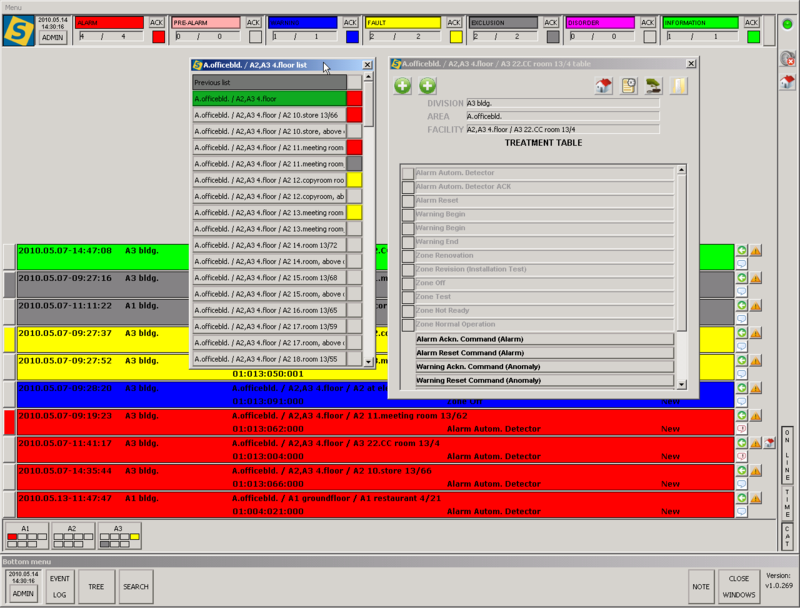 All alerts and warnings are on one screen. Customizable treatment tables for every datapoints, with different permission levels per user. 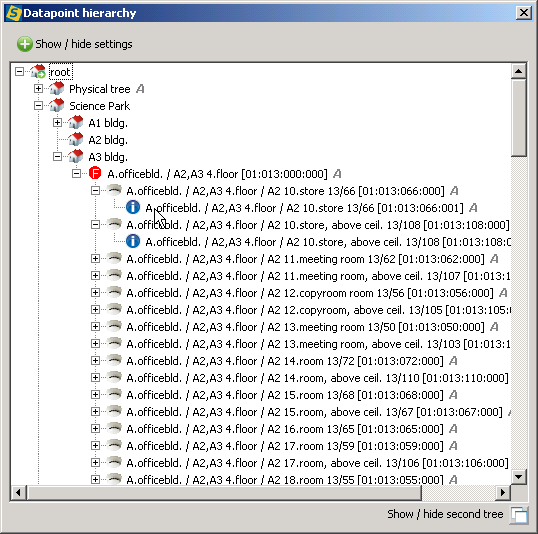 Datapoints can be arranged to tree views, and they are searchable. 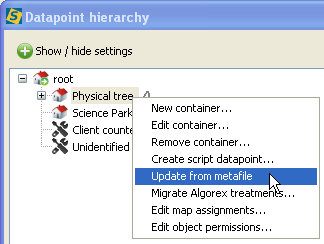 Datapoints can be imported different ways from via live-query of the system, or using metafiles. Datapoints can be added to maps so on alert it can be popped up to instantly see where the alert is coming from. 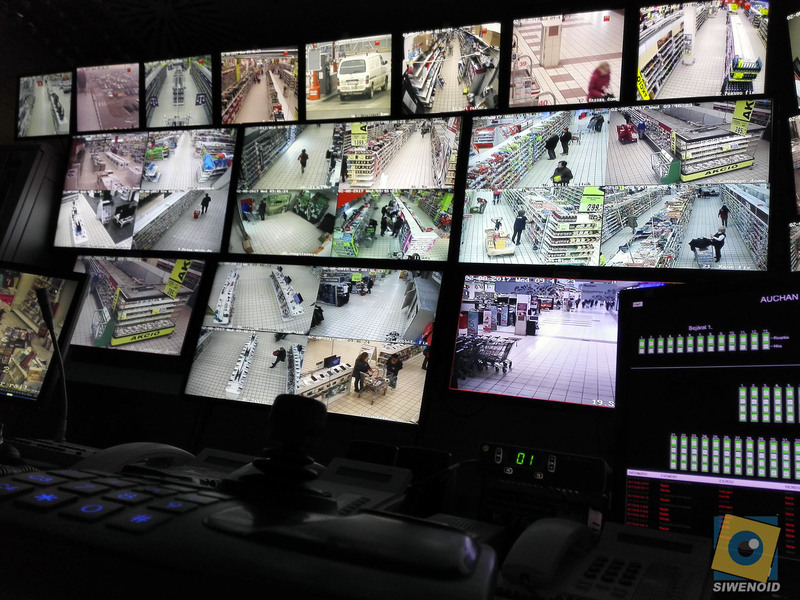 Saving manpower and increase security transparency at Auchan The task was to visualize the alarms of the intrusion detection system so the security personnel could overlook the whole system at one glance, for increased transparency and to make their job easier.